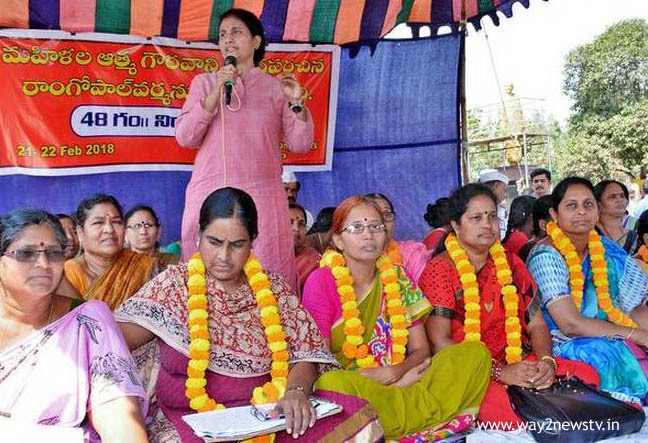 Women's unions in Visakhapatnam continued initiatives for the second day. 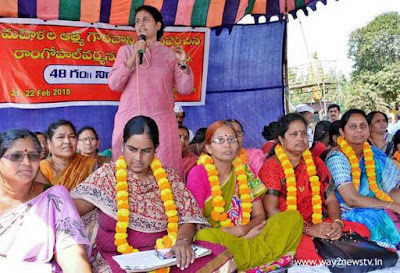 Women's leaders have taken initiatives under the unity of women unions at the GVMC Gandhi statue. Ram Gopal Verma, who is portraying pornographic images, has demanded immediate action to take legal action. Ram Gopal Verma, a member of the party, has been embarrassed by the police allegations. Women's leaders have condemned the comments made by the women's commission chairperson NannapaneniRajakumarii who said why women's associations are being rammed by Ram Gopal Varma. The allegations have been filed as a mantra to molest the initiatives. Verma was warned by the government not to stop the movement until the arrest. Women's leaders have supported the leaders of other women's organizations.